The thought of some winter time out and a week in the sun is all too tempting. 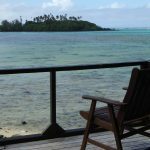 We chose an escape to Rarotonga because there is a direct flight from Christchurch on Virgin Australia – that saves another 3-4 hours hanging around in Auckland. It is late July. Today in the South Island we are in the middle of a big winter storm. SH1 is closed, Timaru has declared a state of emergency because of flooding. 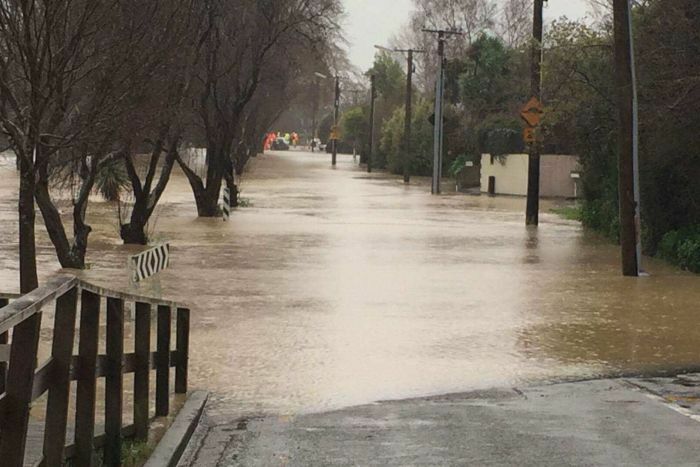 Roads near the rivers around Christchurch are closed. Our down puffer jackets and merino clothes are necessary to get to the airport. We have been watching the weather and it looks like we are heading for 22-26 degrees, though someone warned me to pack a fleece as they had a couple of 19 degree days at this time of year. We never touch the fleece – the weather is warm, and even the occasional shower just a relief. New Zealand was ‘discovered’ by Polynesian sailors and explorers as they expanded to the south and east, seeking new lands to settle. We are connected to the Pacific by more than an ocean. 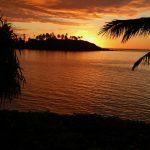 The shared genes, culture and language – kia orana is the Cook Island greeting – not so different from Kia ora in Maori. They have New Zealand currency plus a few funky local coins – expect prices to be similar to NZ. So it is natural for New Zealanders to head north to reconnect with the peoples of which they are a part. Our bags arrived to the tune of a local playing ukulele and singing (he has been welcoming visitors in this way for over 30 years). 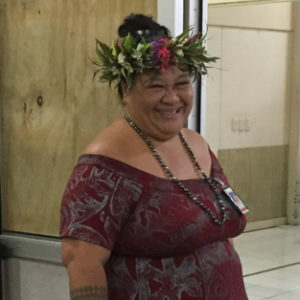 It was a quick check at customs and a warm welcome by a beautiful woman with the trademark flower wreath on her head asking where we were staying and pointing us in the direction of local transport operators. 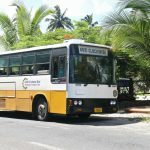 Gwen at Muri Beach Cottages had organised a transfer for us with Taire shuttles who were easy to find. 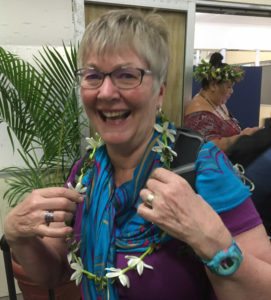 We were presented with Fresh flower lei. After a bit of juggling we were in a shuttle on our way to Muri Beach Cottages, about half an hour drive around the island. 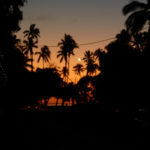 It is dark when we arrive, and very noisy – it is windy and the surf is obviously crashing on the reef nearby. We hear water lapping nearby. 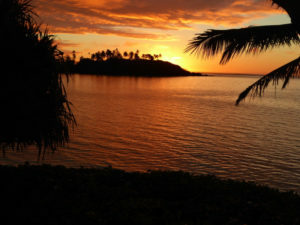 We awake to find ourselves in paradise – we on the beach, looking out to a beautiful lagoon with an island off shore to shelter us.